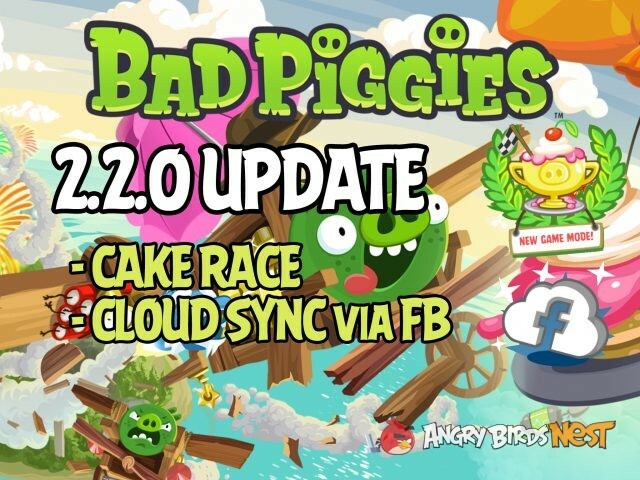 Bad Piggies has received a new game mode called “Cake Race” in the 2.2.0 update. Also, you can now save your progress in the Cloud by connecting the game to Facebook. Update out now on iOS and Android. Introducing Cake Race! Grab the cakes before your opponent and win great prizes! More crazy crates! Can you get the Marble Crate? Ability to sync your progress to the Cloud via Facebook. Increase your level by collecting stars and spin the Wheel Of Fortune to collect a reward for leveling up. Check out our walkthroughs for Bad Piggies! The newest levels will be online soon. Our Complete Hidden Skulls Guide is there for you! Need help in those massive Sandbox levels? Some of the boxes are tricky, so our Complete Sandbox Guide is a good reference. Got a need for speed? Our Road Hogs walkthroughs can make you go faster! YES! at last release progress sync! Actually, there was a way to save progress offline. Your progress is saved in your phone’s internal storage in android/data. So, it isn’t something really new…. Noticed how they made the piggies in the episode selection are animated now? wonder if we can play the cake race on local wifi…. Ah, no I hadn’t noticed the animations. That’s pretty neat actually. Have to play rise and swine levels “level 1” and thebutton will be there as usual. but that’s for when you’re playing the game for the first time…..
Well this is odd… I just checked back now and a whole bunch of stars are missing… I’m down on 67/135 on Ground Hog Day for example… I have no clue what just happened. It must have been when I signed in to Facebook. I had the same problem when I logged in to Facebook for the first time. But thankfully, my progress was not lost! It was still stored on my device – it just wasn’t transferring to Facebook. You should log out of Facebook and see if all your progress is still there. 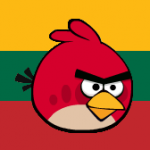 I’m opening a support ticket with Rovio right now to address this. Probably would be best to avoid Facebook syncing for the time being. @rizdub Thanks! Signing out of Facebook helped. That’s really odd that my old progress would be saved on my device, even though it wasn’t used. It basically reverted everything back to as it was before I signed in, so I have to level up again (*sigh*, all the way to level 24 again…). It seems like the Facebook cloud syncing isn’t fully functional yet, so I’ll avoid using it until Rovio confirms it actually doesn’t remove any progress. It’s just like have two accounts on the game. In fact, it does have two accounts on the game! As we can save progress by connecting on Facebook, does it mean we can play the game on Facebook as an app ? Can’t find the good one in Facebook, thanks. DO NOT use the save progress button. It will erase some of your stats. You will have to play the game again to get the progress back.